It is not uncommon to feel guilty when enrolling your kid in childcare. Many moms would rather be home with their children instead of working, but sometimes there is no other choice. In that case, it helps to focus on the positive aspects of enrolling your little one in childcare. Once your child starts kindergarten, they are going to be on a certain schedule. Enrolling them in childcare prepares them for kindergarten by getting them used to a routine. Their schedule includes lunch, naptime, games and other activities. There are many childcare centers and kindergarten classes that offer a similar schedule and curriculum. A childcare setting helps your little one to socialize with children in their age group. 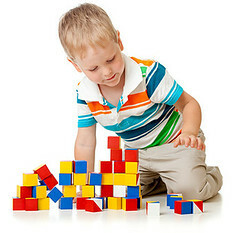 Their teachers come up with a variety of activities that encourage children to play together, such as working on puzzles, building with blocks and pretend play games. The activities teach children how to communicate and work together to solve a problem. Teachers also use the games to teach children how to share and take turns with others. Children who attend childcare are encouraged to try new things. Teachers have different methods for getting children to try certain foods for the first time. Your child may also be introduced to unfamiliar games, songs and stories. There is a good chance your child will be more open to trying different things as they grow older. When you enroll your child in childcare, you are helping them to gain their independence. Your child may need time to adjust to being away from you and home, but their teachers can help them adjust to their new surroundings. Children also learn how to do things without parental assistance, which helps them to develop and enhance their independent skills. You can take comfort in knowing your child is in a positive atmosphere when you enroll them in child care Tampa Palms.